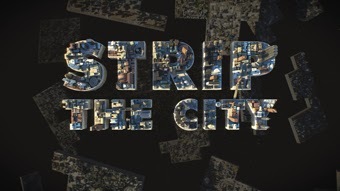 A couple of days ago, the second season of "Strip the City," debuted on the Science Channel. (We didn't even know there'd been a season one, but better late than never.) The new season began with a show on New York, focusing on the methods and infrastructure necessary for surviving another giant storm like Superstorm Sandy. The most compelling segment is the first, where CGI allows the show to demonstrate how the new World Trade Center 1 (aka Freedom Tower) was constructed. The show then goes on to talk about resurfacing and strengthening the Verrazano-Narrows Bridge, deploying subway plugs (for keeping water out of the system), maintaining the city's steam system, and the controversial proposal to build a sea barrier to keep storm surges away form New York harbor. You can watch a couple of clips at http://www.sciencechannel.com/tv-shows/strip-the-city/videos/new-york.htm. The graphics are great and the content compelling, but the show does perpetuate at least one long-standing myth. Many people, including experts, believe that the reason Chinatown and Greenwich Village don't have tall buildings is because there isn't bedrock in those neighborhoods to build on. That's true--the bedrock is much farther from the surface--but this is what's known as a false causality. The lack of bedrock wasn't the reason the buildings didn't go up in those areas; instead it was socioeconomic factors which led these chiefly residential neighborhoods to stay low-rise. The show is being repeated a number of times over the next week on the Science Channel, if you'd like to watch the whole thing.